A blast nozzle is designed to accelerate and direct an air and abrasive mixture to the work surface for increased production. 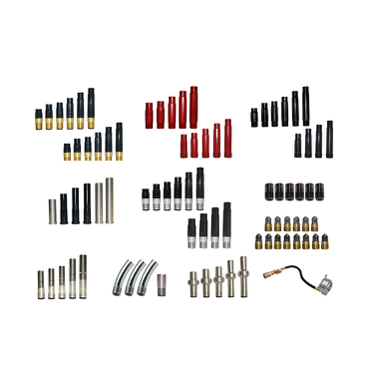 Blast nozzles are available in a variety of nozzle styles, liner materials, and jacket materials. The nozzle style is determined by the application. The liner material is determined by the abrasive used. The jacket material protects the liner from external damage. Typical applications include blast rooms, blast yards, bridges, offshore platforms, oil refineries, pipelines, railcar shops, shipyards, storage tanks, and water towers. Long Venturi nozzles increase velocity as much as 400%, yielding up to a 40% increase in productivity, compared to straight bore nozzles. Long Venturi nozzles create a wide blast pattern when abrasive blasting at distances of 24” to 36” from the the work surface. Long Venturi nozzles are available in Brass Poly and All Poly jackets.